Arising out of the morning mist an ancient kingdom called Siam was born. Containing vast natural healing secrets and natural ingredients unique to Siam and its culture. These secrets have been found to be greatly beneficial for the well being of the body, mind and soul. Spa Siam was created to incorporate and embrace the secrets of Siam and to develop high end lifestyle natural spa, skin care and hair care products utilizing these exotic botanical extracts, oils, crushed roots and natural ingredients. Whilst still incorporating ancient traditions and ingredients SPA SIAM has not forgotten the demand in today’s hectic urban society for high quality products that purify, detoxify and replenish the body. 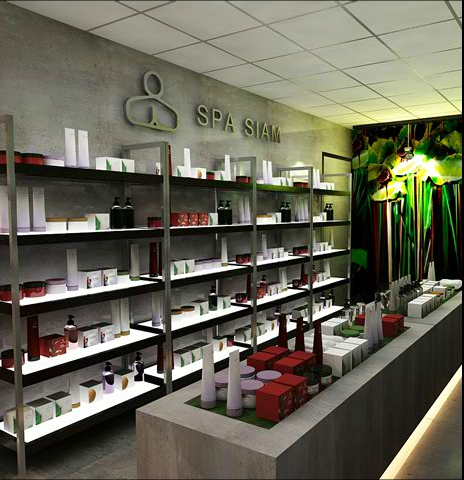 Spa Siam only utilizes the highest quality natural essential oils, botanical extracts, and herbs to enrich our trademark product collections and accessories. Signature ingredients such as rice bran oil, lemongrass oil, and jasmine oil are utilized to bring vitality, nourishment back to the skin, face and hair.